Streets with amazing tapas eateries, galleries with paintings from world’s most famous painters, stunning architecture, street musicians, and a special flair: that’s Madrid! Spain’s capital lies in the heart of the country and is home to about 3.3 million people. With its great cultural heritage and nightlife, it is a major draw for tourists and a perfect getaway for everyone. Madrid has first been mentioned in the 9th century. However, it only started to develop when king Philip II moved his court to the city in the 1560s. In 1606, Madrid became the capital of Spain and has since been strongly influenced by generations of kings and queens. King Felipe VI and his family still live in the city. To start your dive into Madrid’s lifestyle and vibe, take a stroll through the Mercado de San Miguel. After having lost business to major supermarkets, this market simply reinvented itself by adding tapas to its product range. Today, Madrileños and tourists alike flock to the market to have a bite and hang out with friends in a great atmosphere. Just around the corner, you will find Madrid’s major plazas: the Puerta del Sol and the Plaza Mayor. Mingle with the crowd to watch street musicians or to just sit on the steps of the fountain and do people watching. An absolute must is a stroll along Calle Cava Baja with its many tapas eateries. Don’t get full at the first one already! Madrileños will typically try a few tapas in one location and have a beer before they continue to the next restaurant to test yet another bite. This is a continued activity that can last the entire night! A highlight of Madrid is the Museo del Prado. This is one of the finest art collections in the world and on par with the Louvre and other art museums of that kind. Featuring painters like Raphael, Tizian, Velázquez, El Greco and Rubens, this museum should be on anyone’s bucket list and won’t disappoint. You should plan at least half a day to see all of its marvels! Getting around in Madrid is easy, as the city has an ultra-modern and extensive public transport network. The center of the city is easily walkable. But if you need to get a bit further, you can get anywhere by bus or metro. Also, there are taxi services available throughout the city. The best months to visit Spain’s capital is from March to May or September to November, as it isn’t that hot and flooded by tourists. 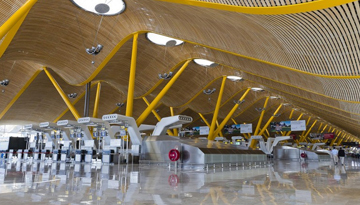 Compare flight tickets to Madrid and go for the one which does not exceed your budget. A lot of exciting treasures await your touch of discovery in the charming Spanish town. Ebookers offers cheap flights to Madrid with cheap fares from £38 return including taxes. 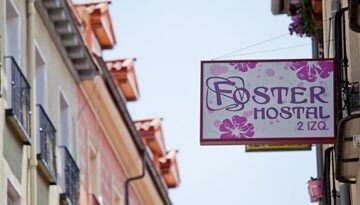 Hostal Foster, Madrid offers 2 star 1 night room stay at £27 & save up to 50%. Fly from Liverpool - Madrid & Stay for 7 nights with 3 star accommodation. Room Only.